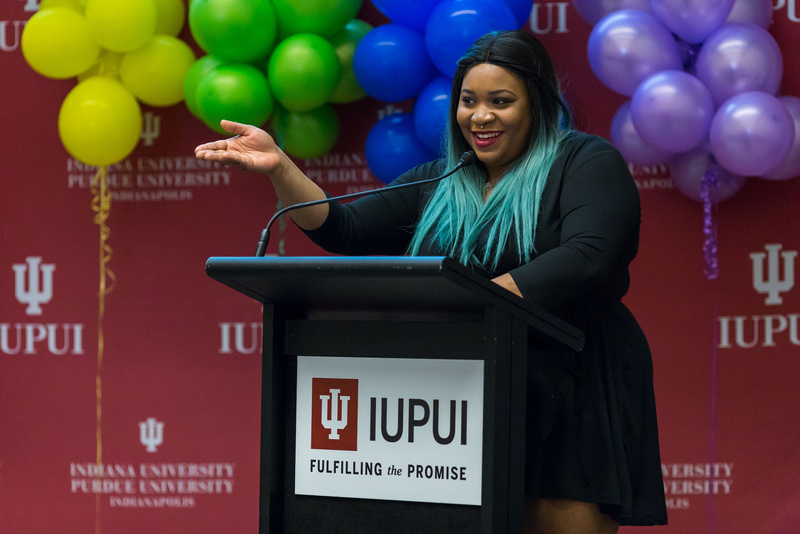 Lavender Graduation is IUPUI's cultural celebration of LGBTQ+ graduating undergraduate, graduate and professional students. 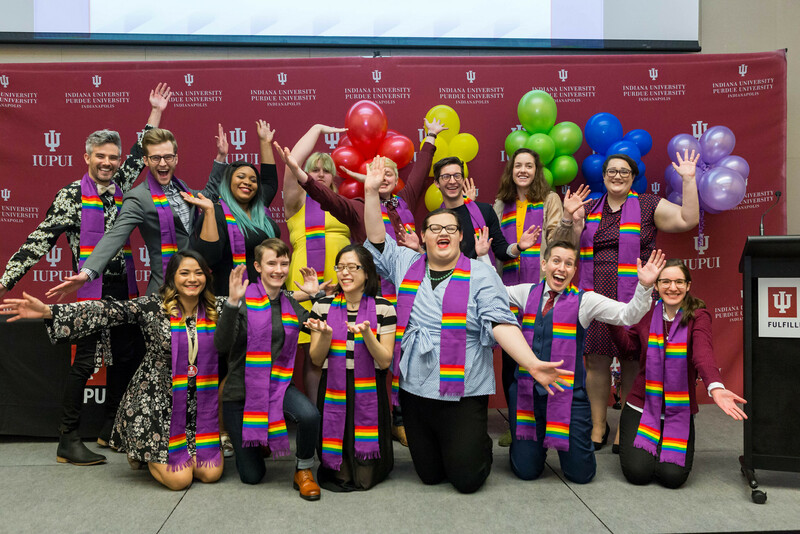 Historically, LGBTQ+ people have not been able to celebrate graduation with their partners or chosen family, thus lavender graduations were born. 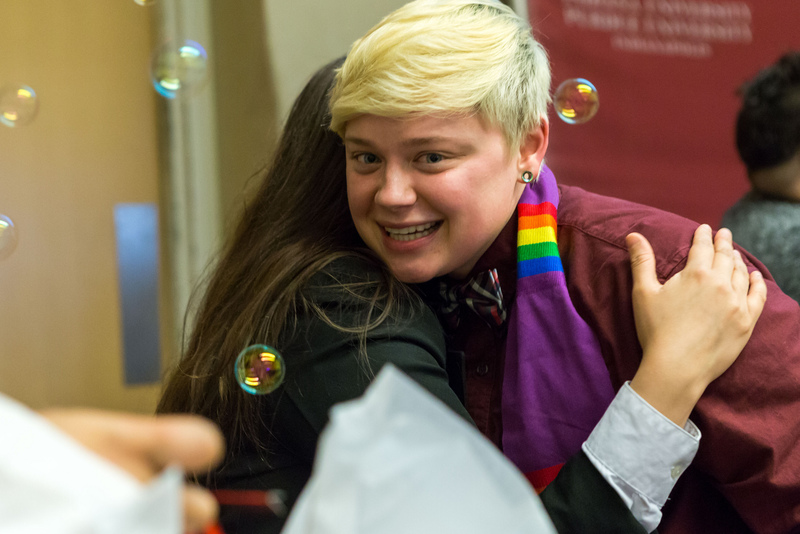 Serving as an alternative to traditional ceremonies, lavender graduations allow LGBTQ+ students to openly celebrate their achievements without fear of retribution or being outed to friends and family. 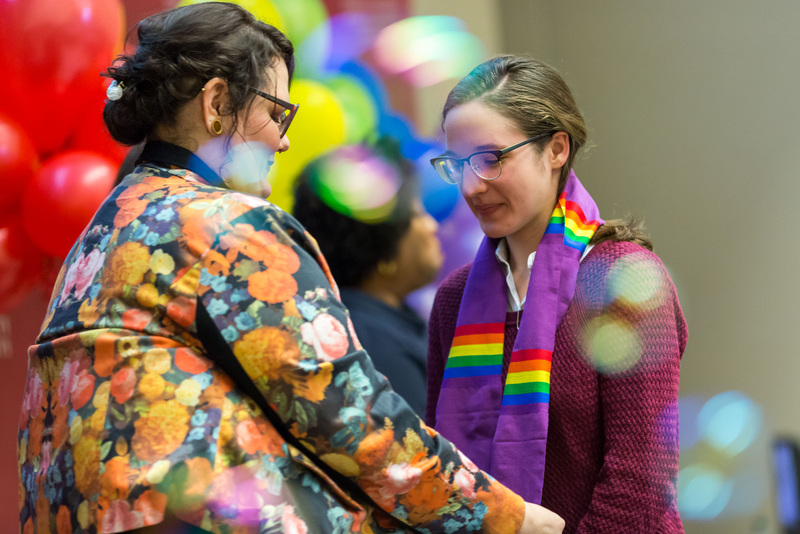 Any IUPUI LGBTQ+ graduating student is welcome to participate in the Lavender Graduation ceremony. 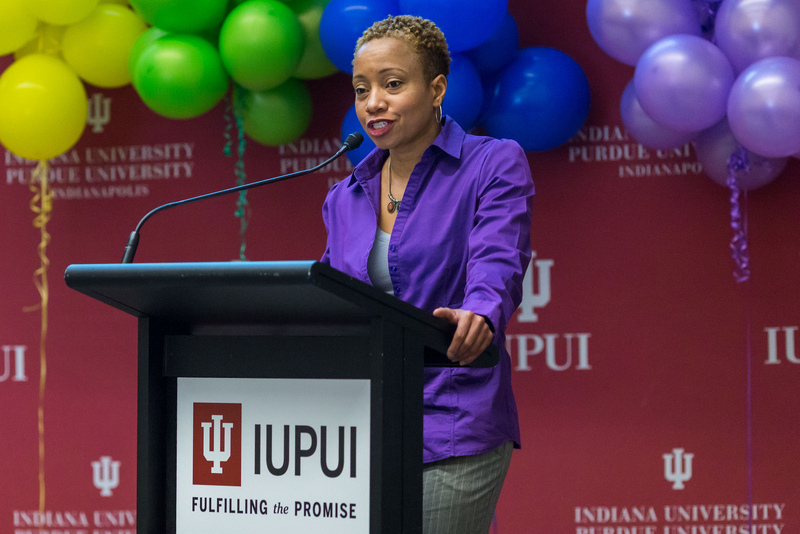 We welcome undergraduate, graduate and professional students, as well as students who graduate during Fall 2017, Spring 2018 and Summer 2018. 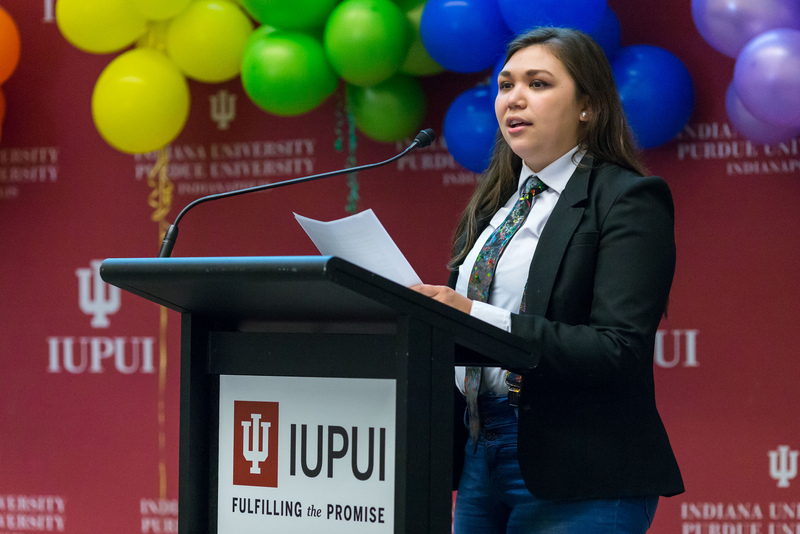 Please register to walk in the ceremony before Friday, April 19, at 5:00 p.m.
Each year we will recognize one of our graduates for scholastic achievement, as well as outstanding service to IUPUI and the LGBTQ+ community. 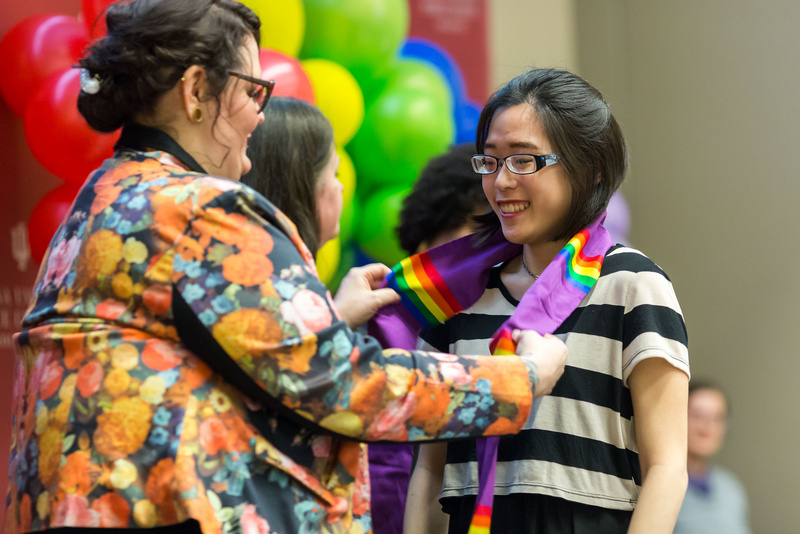 If you know an exemplary graduating undergraduate, graduate or professional student, please nominate them for our award. 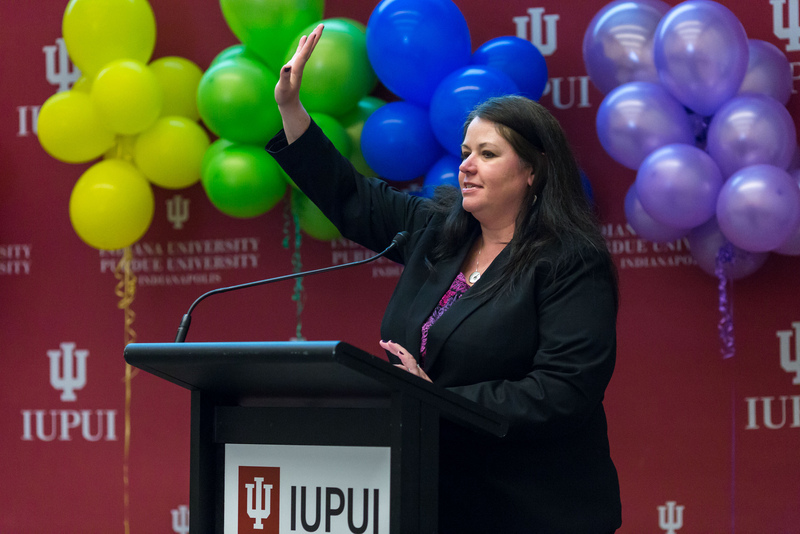 Nominations are due Friday, April 19, at 5:00 p.m.